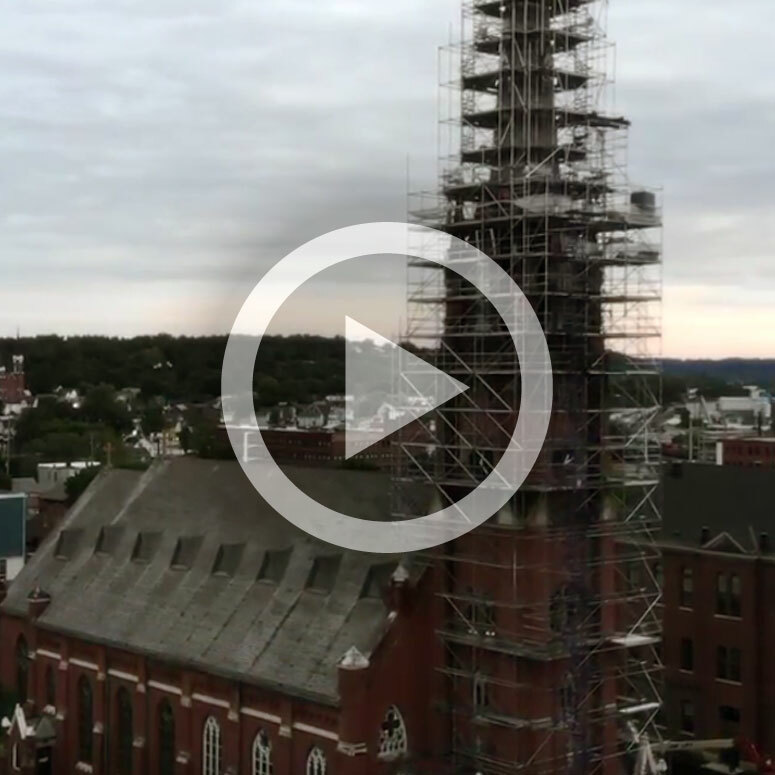 This is Steeple Square’s unique story of the 225-foot steeple’s historic restoration, located on the former St. Mary’s Church campus in Dubuque, Iowa. Learn how the restoration supports our mission, neighborhood, partnerships and community while respecting the history and architecture of this magnificent building. This and other videos can be viewed on our Steeple Square YouTube Channel.